Well pretty soon we'll be seeing Walker 2B....part of the youth movement is heading back to AAA shortly. I had hope Wade would get a serious look...guess not. 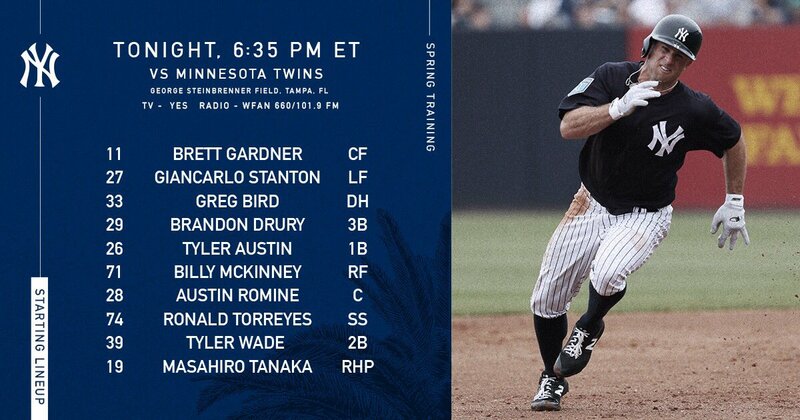 I know its spring but why isnt Judge in the line up? Is he hurt? He did run into the wall in the corner on Sat. Ray Ray...is it time to send Tanaka packing???? He stinks..right???? Boone should give him the hook about now.... Make Green the starter...do it!!!!! Whine, whine whine. It's freaking spring training clueless Ray , calm down .